The Rebel Alliance have a greater exposure to different cultures and their ways of waging warfare than the Starfleet. This would give the rebels the advantage of greater cultural knowledge and fighting styles/training. The members and crews of the Rebel Alliance are suited better for space combat. The Rebellion is better at creating and maintaining high morale. The Rebels wouldn't be nearly as outnumbered as they were against the Empire, an opponent which they managed to beat. Star Wars vessels, both the Empire's and the Rebels', tend to appear more solid and durable than Star Trek ships, particularly the Federation's/Starfleet's. The Federation depends on science and technology whereas the Rebels depends upon the Force. Since the Force does not need to follow the laws of physics and nature, so long as "the Force is with" the Rebels, they have the advantage. The Rebel Alliance has decades of experience fighting an asymmetric war. Starfleet's curiosity and ingenuity is a strength unmatched by the Rebels. Federation fleets are better suited for battle. The Federation's ships are technologically superior to those of the Rebel Alliance. 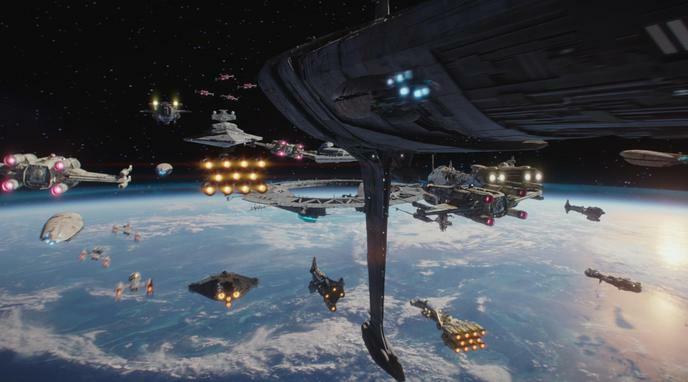 The combat between the Rebels and the Federation would likely be drawn out beyond a single all-out battle as a result of how both sides tend to approach combat. This would give the Federation a significant advantage. The Federation has a much more stable and prosperous economy. Is the Star Wars series going in the right direction under Disney? Is "The Last Jedi" one of the weakest Star Wars movies so far?